Sometimes simple notion of having to do something just because the same is necessary to be done is definitely not good enough incentive; sometimes we need more. Let’s take for example garage door maintenance. Even thought we basically know how essential is to take care of our garage door we still most of the time seem to fail to do so. It is almost as we deliberately neglect all the consequences of poorly maintained garage door. Yeah sure, most of the time it is easier to go on without caring about the consequences, but long without proper garage door addressing we are definitely in for lot of headache. If all of the above mentioned doesn’t seem to have any effect on you or on your garage door maintenance routines we will try to present you with three reasons that will make you change your mind and change your attitude toward garage door repairs and garage door issues. If you address your garage door with certain attention and frequency then you may forget all about that annoying sound that comes form neglected, old rusty garage door. There is no way you are headed off to a good day start if your day starts like that. 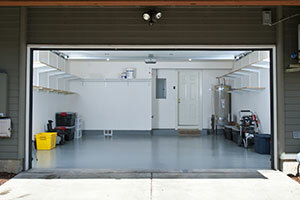 Another thing you will achieve by properly caring for your garage door is your garage door maximum efficiency. What this includes is never having to wait in front of your garage door for years before the same opens or closes. Another thing rarely, in fact, never residing poorly handled and repaired garage doors are “stuck garage door emergencies”. If you repair your garage doors regularly the only thing you risk of getting stuck with are great results.